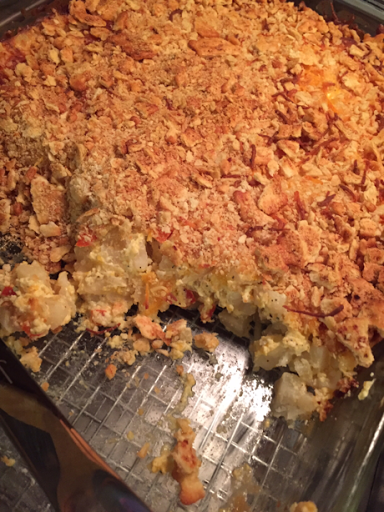 Now every family has a version of this potato casserole. I've heard it called funeral potatoes, Aunt Betty's potatoes, party potatoes, cheesy potatoes, Potatoes Romanoff and my family's version, patio potatoes. 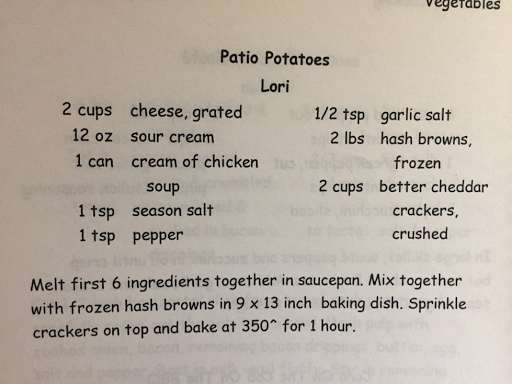 Now where this recipe originates is beyond me, but I remember it fondly at my Cousin and her husbands house. 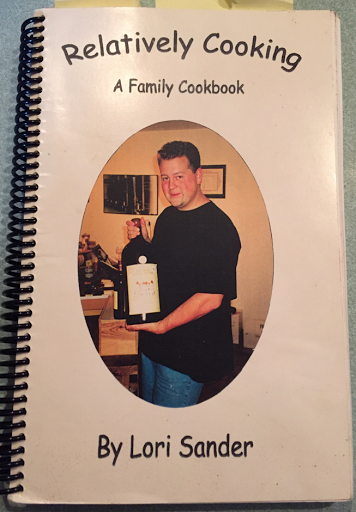 Then a few years later, my cousin put together a book of family recipes, called Relatively Cooking. In this was my very own copy of this delectable dish. The one thing that makes this dish great is that you can personalize it, or make it directly as the recipe states. Tired of cream of chicken soup? Use cream of celery, cream of broccoli, cream of asparagus, whatever you think would taste great. Switch up the cheese from cheddar, to Swiss, havarti, gryuere or even hot pepper. Add onions. 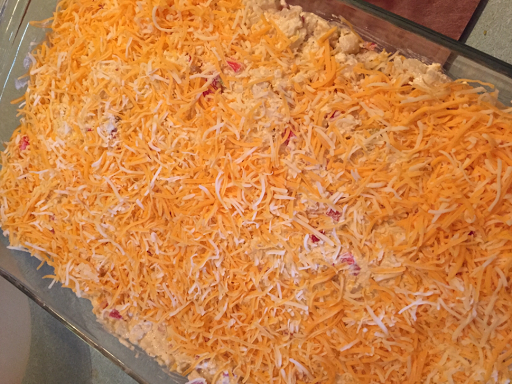 For the potatoes, instead of diced, try shredded.....and for the topping, I've seen, better cheddars, gold fish, corn flakes, potato chips, fried onions or even saltines. Melt first 6 ingredients together in a sauce pan. Mix together with frozen hash browns and place into a greased 9x13 pan. 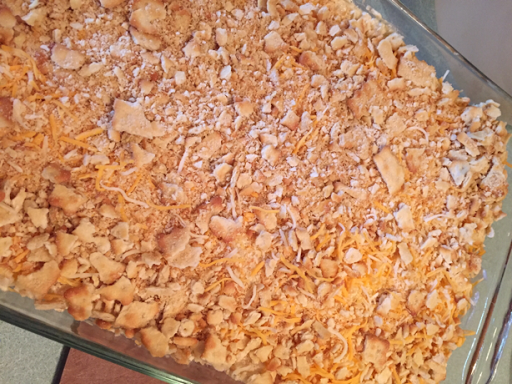 Sprinkle crackers on top and bake at 350°F for 1 hour of until golden and bubbly. In the version above, I added red peppers and onions, and used Southern style hash browns.